Of all the lessons to be learned from the hacking of Naoki Hiroshima and the loss of his coveted @N Twitter handle, the most troubling is the one which will ultimately be the most difficult to solve. In online security, weak passwords and poor encryption standards may be part of the problem, but the biggest problem of all remains ourselves. Hiroshima outlined the events that led up to the loss of his Twitter handle, which he valued at $50,000 based on previously-received offers from would-be buyers, in a posting published on Medium on Wednesday. It wasn’t sophisticated password cracking or a zero-day, code-based exploit that sealed the deal. In fact, all it really took was a telephone call or two. The saga began on Jan. 20 when Hiroshima reported that someone was attempting to hack into his Paypal account. Hiroshima had two-factor authentication set up, and when the attacker attempted to reset his password, he received a text message requesting his approval for the change, which he ignored. Unable to get through Paypal’s gates, the attacker took a surprising next step, attacking Hiroshima’s personal domain name through his registrar, GoDaddy. 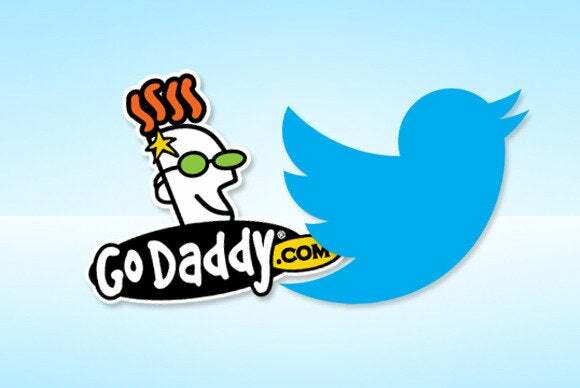 The hacker got through GoDaddy’s security measures by calling a representative on the phone. The hacker claimed to be Hiroshima and said he was having trouble accessing his account. GoDaddy asked for the last six digits of his credit card number on file as proof of identity, which the hacker miraculously was able to provide. The hacker then took those four digits and was—amazingly—able to parlay that into the last six digits. How? According to Hiroshima’s narrative, the GoDaddy support agent simply let the hacker guess them, two by two, until he struck upon the right combination, unleashing the keys to the account. The hacker reported to Hiroshima that he told GoDaddy he’d lost his card, but remembered the last four digits, opening the door for the guesswork operation. The hacker got it all done in one call. What went wrong? It’s easy to say Paypal and GoDaddy share the blame, but the common denominator in both cases is simple human nature. To really understand how social engineering like this works, put yourself in the shoes of the company that receives the phone call from the hacker. A panicked user calls you, asking for your help with a problem. He’s been the victim of a crime or an accident, and the standard security systems available on the Web aren’t helping him. A company like Paypal probably receives thousands of calls like this every day, and the vast majority are likely totally legitimate—real people in real crisis. That same rhetoric is used every time a big hack takes place. Apple, for example, briefly froze all over-the-phone password resets after reporter Mat Honan was catastrophically attacked in 2012. The average computer user has dozens of active online accounts, and they’ll never all be locked down tight. If a hacker can’t grab your Paypal account or your GoDaddy account, he’ll simply go after another one. Eventually someone will answer the phone. Hiroshima offered a few tips in his Medium post that you can use to help you protect yourself. Don’t use an email address tied personal domain for logins. Increase the time to live (TTL) on your mail server’s MX record to give you more time to plan a response if someone takes over your email account. And use two-factor authentication wherever possible. The hacker in the case also gave Hiroshima some good advice: If you’re worried about attacks, call the company (Paypal in this case) and ask them to make a note on your file not to release any details about your account over the phone. It can’t hurt. Consider using different credit cards for different services. In Hiroshima’s case, had he tied Paypal and GoDaddy to different cards, the hacker wouldn’t have been able to complete his two-step attack in the manner he did. Some banks will also issue one-time card numbers which you can use, say, when paying for a ten-year domain registration, then burn forever. You might consider undertaking a faux attack of your own account as a test. Call your providers and see what they’ll divulge over the phone. Beg and plead and rely on human nature to cajole them into helping you. If you’re not satisfied that they’ll stick to their policies and protect your personal information, it’s probably time to jump ship.